Explore the fascinating world of the family herbalist. Learn how to take better care of yourself and your family, naturally. Use coupon code LEARNFREE to gain free access for 30 days. Free access does not include the Course Certificate and Lifetime Access. See Description below for more details. 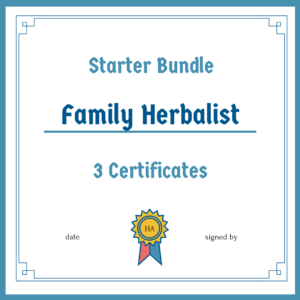 This practical hands-on online herbalist course is your doorway into the fascinating world of the family herbalist. 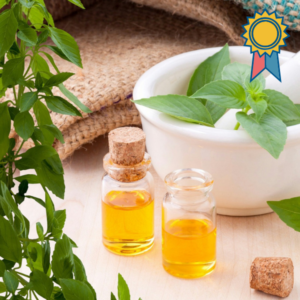 It is for you if you are interested in learning the basics of using herbs and natural medicine to treat everyday ailments, and to live more healthy and naturally. It is also your first important Milestone if you are interested in learning how to help others. Define the position of herbalism in the Biblical worldview that ‘God is the Ultimate Healer’. 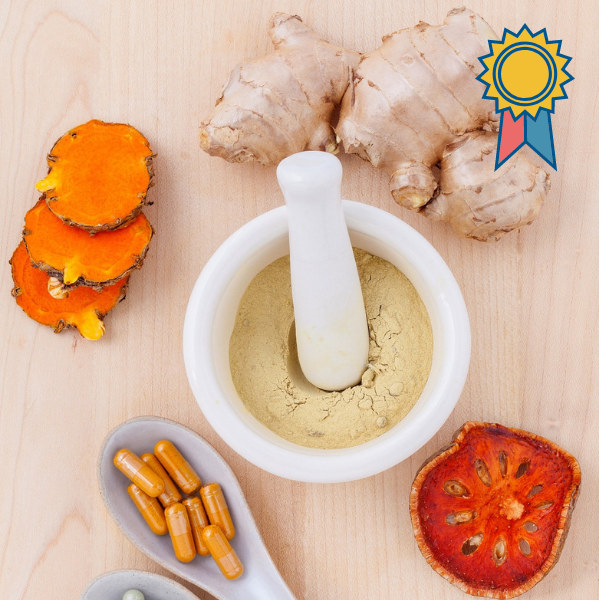 Create your own herbal therapeutic protocol for the common cold and flu. Obtain the Certificate of Completion if you meet the requirements and you’ve paid the Course Certificate fee. Click to view the course curriculum. There are 4 Modules and 16 short learning units in this course. If you are aiming for the Course Certificate you’ll need between 4 and 8 hours to complete the course. You can use coupon code LEARNFREE to get free access to the course material for 30 days. When using this option you won’t be able to submit the final written assignment, and you won’t be able to earn the Certificate of Completion. 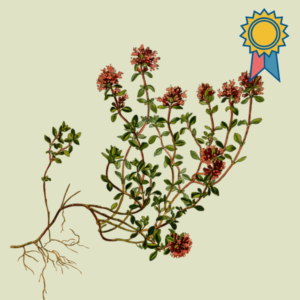 We regularly update and expand the contents of all our online herbology learning programs. Lifetime access gives you access to all future updates as well as unlimited time to earn the Course Certificate. You can earn a Course Certificate which is proof that you completed and passed the course. 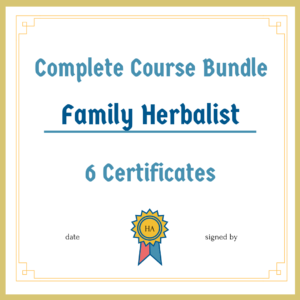 The Basic Herbal Medicine Making Course Certificate is a prerequisite if you’d like to earn the Family Herbalist Certificate. Pass all required assignments in the course, and obtain a cumulative grade of 70% or more. Don’t look so worried, it’s way easier than you think. Pay the Course Certificate fee, or apply and be approved for a scholarship. The Course Certificate fee is equal to the amount shown as the price of the course. If you’ve used the LEARNFREE coupon to obtain access to the course you can still pay the Course Certificate fee to obtain the Certificate, instructor support and lifetime access. The Certificate Option comes with instructor support and, if you meet the requirements, a *Certificate of Completion is awarded. * The point of all SA Herb Academy learning programs is to learn a craft. There are no legislative boards, no licenses… just practical information for actual use to enrich your life and the lives of those you chose to serve. We do not want money to stand in the way of your dream of taking better care of yourself and your loved ones. If the Course Certificate fees are currently beyond your reach, simply send an email to didi@nutriserve.co.za with a short motivation for a scholarship and the amount you can afford. Have questions about this course? Call or WhatsApp +27 084 400 9841. I enjoyed the course a lot. Learned a lot about herbs I did not know. I recommend that any one who is interested in learning about herbs and what positive impact it can have on your health as well as your family should try this course out. I learned that Herbology is different from Herbalism. Would have liked to have had some education on why it’s important to use organic herbs. Really liked the format of the class. The course is interesting. I learnt the basic terminology used in herbology even the terms I did not like in Botany came back. Its an excellent course. I enjoyed it. This course is amazing for beginners. It really opens your eyes at the endless possibilities. Loved this course. This is just the beginning of something very valuable!! This was so awesome. I worked through it with our children aged 11 to 16 and we learned so much together as a family. I think it would have been helpful to have a little note at the start of each module – or at the start of the course a page with what you’d need for each module and if these lessons would be a practical or theory. Just so we can have everything on hand that we may need for that lesson. We have really had our knowledge extended and are excited to start the next course. I found this course very informative and helpful. A lot of study hours awaits to get to know enough herbs to add to my materia medical. I loves this course! It was very informative and thorough. Can’t wait to start the next course! This class was very informative and educational. I enjoyed it greatly! I absolutely loved this course. It was a very interesting and informative introduction to Herbal Medicine. I would definitely recommend it to anyone interested in Herbology and/or making there own herbal remedies. Amazing course with lots of great info! Very informative and professional, everything that is taught is very well researched. I am extremely impressed and empowered by what was taught, I used to be very skeptical about herbal remedies but this course changed my perspective in a radical way. Absolutely wonderful and very informative. Easy to understand and thorough at the same time. I would recommend to anyone starting their path in herbalism. 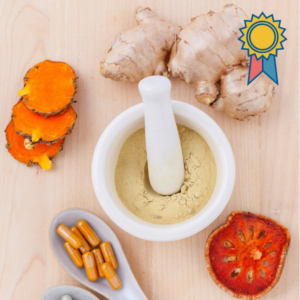 This is a very comprehensive course for its Basic Herbal Medicine Making status. A beginner herbalist will enjoy taking it for its basic herbal medicine making techniques. It lays a solid foundation in basic herbalism to which you can add more advanced herbal skills. A well put together course overall. I appreciate the Biblical standpoint this course takes and the community of students. I look forward to taking more courses here! I give it 5 stars because I learned a lot and there is lots to learn still. thank you for this awesome course. I’ve been playing with herbalism for some time – self taught, I would like to move into practising and treating clients and felt this beginners course really gave me a strong foundation and understanding of herbs, especially safety and contraindications. I also agreed with the analogy that healing begins with self. Throughout this course I applied what I learned to what I needed to heal within myself. To experience the results first hand gives me the confidence and belief that I have chosen the right path. Thank you for sharing your coursework, especially at no charge and I look firward to continuing my herbal journey. I thoroughly enjoyed the course. I have learned a lot and has sparked a greater need to learn more. I hope at some point I will get to appreciate the Christianity that was included in the course. At this point I did not as I felt that not every one is Christian. I do acknowledge that it was mentioned that those not interested in the Christian parts could skip those sessions. I did not as I wanted to see it’s value. Loved the course and I have learned so much new and interesting things. Also learned about herbs I have seriously never heard of before and I am excited to have gained so much more knowledge. Thank you! Love the guidance. Great information very helpful. Thank you for a very informative and detailed introduction to herbal medicine. Thoroughly enjoyed the course and have started the setting up of my apothecary. Look forward to learning more as I formulate my Materia Medica. Super informative, well compiled. I appreciated the follow up emails, as well. I have always wanted to be a Herbologist of I can say. And surfed the web last year and came across Herb Academy. At first, I thought it’s just those… But, this year I got an email from them and decided to give them a try. This is Christian oriented Academy for me and all the Topics Covered are truly informative and necessary. Di-di, I can’t thank you enough, you have been and continue to inspire me.. And most of all.. I will go until the end.. Herb Academy is the place to be… Yeppieeee!!! I loved this course, it was a great introduction to Herbal Medicine. I can’t wait to carry on with the next course to broaden my knowledge and find out how herb really work. Great course; better than I expected. I would recommended this course for everyone. What a stunning course!. I really learned a lot and cant wait to take the next course. Fantastic! Easy to follow, very informative. Excited to begin sharing the knowledge. Definitely recommend! Thoroughly enjoyed this course. I learned more than I was expecting to and now have some valuable recipes to apply at home with my family. This was something that as a new mother of child number three, I couldent wait to read every night. Well done. Excellent material, would recommend it for anyone who would like to start learning herb. Great course. Lots of great information. Quick, easy to follow lessons with a lot of useful information. Would definitely recommend! I would recommend this short course. It is informative and fun to do. I’ve been applying my own previous findings for several years. I got to a point where I wanted a little more structure to my learning. This course provided that for me. I now have a basic outline to guide my future studies. Love the course. This is a great start for my herbal journey. I think anyone who interested in herbalism should take this course. Very helpful for our family! This was a really fun first course of herbal health. I am looking at taking another one! There is so much more to learn and I can do that right here! For a Basics course, this course was very informative and detailed. I thoroughly enjoyed taking it this week and look forward to utilizing this new information at home! I am looking forward to the next course and enjoying building my materials medica. I’ve been studying and applying alternative herbal methods for quite some time now and wanted to learn some of the essential basics. 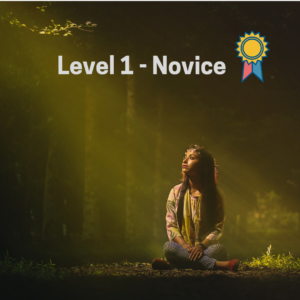 This course was exactly what I was looking for to help me better understand some of the rules and common methods of use. This course will help me impart my knowledge to others in a more formal and knowledgeable way Thank you! This course is packed with valuable learning tools to be an effective healer. The gentle explanations make it perfect for those who might have been afraid to delve into herbal medicine. Excellent course! 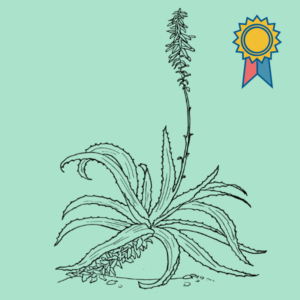 This course is a very good foundation for the rest of your herbal career. I would really recommend to anybody that would like to change their lifestyle for the better. Fantastic, no nonsense presentation. Easy to understand and implement. Will recommend that everyone does this course. Empowered! This course teaches you the basics of herbalism and gives you the foundation you need to prosper into a great herbalist! 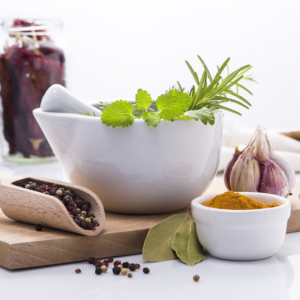 Great introduction to the use of herbs in supporting health! This course was very informative. Glad I took it. I learned some very interesting things. I would recommend the course for anyone that wishes to learn Herbology, excellent!